To celebrate this special time of the year, The Ritz-Carlton, Doha is setting the stage for the ultimate romantic escape in Qatar. 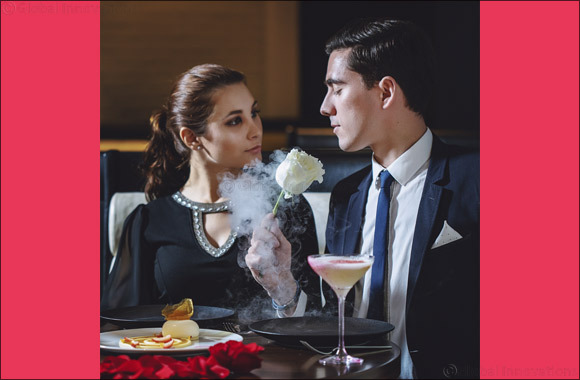 February 10, 2019 United Arab Emirates: Guests can impress their loved ones with the “Fall in Love Again” package, which offers a stay in one of the newly re-imagined rooms and suites, daily in room breakfast for two, romantic setup that includes fresh red rose petals delicately placed upon the bedding, romantic amenities upon arrival and early check-in and late check-out upon availability. ‘Fall in Love Again’ starts from QAR 985 per night in a Deluxe Room and QAR 4,085 in The Amiri Suite, available from February 13 to 16, 2019. Celebrations continue on February 14, 2019, at the newly opened modern steakhouse, STK, that will offer an exclusive set menu for dinner, prepared to perfection by Executive Chef Cesar De Leon Torres, centered on exquisite seafood dishes and some of the best quality steaks in the country. This set menu will be available from 6 p.m. and priced at QAR 390 per person. For those who want to create memories to last a lifetime, one couple will be able to exclusively book The Ritz-Carlton Island to enjoy a setting that is completely private with their loved one. There will be an option of two decadent menus offering the finest cuisine and imported delicacies created by The Ritz-Carlton Doha’s Executive Chef, Satish Yerramilli and his brigade. Guests may also choose to create their own menus with our talented chefs for a truly bespoke experience. The island will be adorned with scattered rose petals, candles offering romantic lighting and a live pianist on the secluded island, thus allowing guests to immerse themselves in this truly romantic experience. This exclusive memorable romantic island offer starts from QAR 14, 000 and is available on February 14, 2019 only. To complete the experience, the award winning Ritz-Carlton Spa, which has been recently re-imagined to offer the city’s most luxurious spa experience, will be treating couples with a three-indulgent hour package within the exquisite VIP Treatment Suite, including access to the spa facilities followed by a relaxing full body massage and facial for two. The offer is valid through the month of February and is priced at QAR 2,500 per couple.